An attractive custom thumbnail image often determines whether viewers will watch your YouTube video. 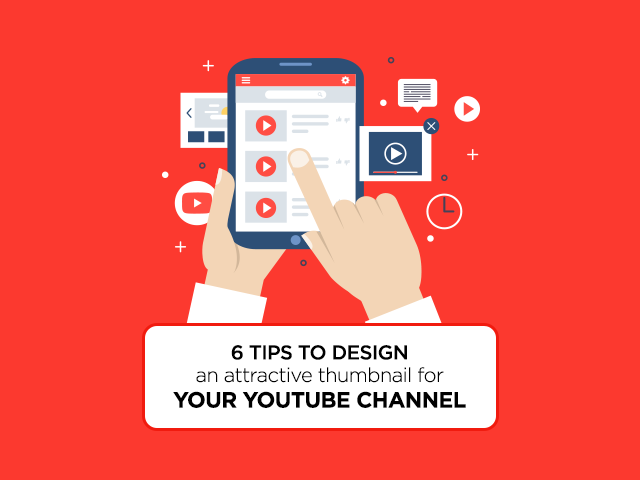 In other words, an attractive custom thumbnail works like a magnet to attract the audience. Though it is well known that the thumbnail is the first introduction to the content, many creators fail to do full justice to this element of the video. To make things easier, YouTube has decided to help video creators. It has launched a new algorithm to help you select the best visual for the thumbnail. Thanks to the advanced neural network technology, this new algorithm compares the quality of each frame in your video and zeroes in on a visual that best represents the entire video. Though this is a noteworthy and amazing feature, nothing can beat the importance of a good custom thumbnail image. This will make sure that the viewer is redirected to your channel’s message and of course, your brand. As a rule of thumb, always opt for bright colors. 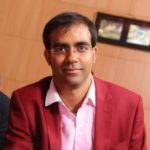 These stand out even on small screens such as those of mobile phones and therefore, are more likely to be noticed by your audience. However, it is important to maintain a balance; otherwise your custom thumbnail image could come across as cheap and gaudy, reflecting on your channel and brand’s personality. Also, never opt for default colors for your thumbnail image. If possible, get a graphic designer to pop the saturation of the image just enough to make it stand out from the rest. You can also try different filters to spark your audience’s attention. It is always better to opt for a human face in the thumbnail whenever possible. Ideally, a close-up shot must be used. This arrangement will make the image standout, irrespective of the viewing device. The idea is to connect with the viewers and to establish an emotional contact with them. In that vein, go for an image that can pique the audience’ emotions. If your content is action-based and allows the use of a related thumbnail image, then take the opportunity! The sense of motion will make the viewers curious and they will click on the video to watch it. Pack as much as action possible in a single thumbnail. If you are planning to include some form of text in your YouTube channel’s thumbnail image, then it is advisable to check a few channels that already do so. Ideally, when texts are related to thumbnail images, it serves as a trailer, giving hints about your video’s content. Make sure you do not overload the space available in the frame and that it is easily readable on every device. Providing some sort of consistency to your custom thumbnail is an effective way to build awareness about your channel, especially if your content falls under a very competitive genre. A signature style can range from sticking to a particular colour palette to a certain composition style. If you have different series on your channel, then it is a good idea to define different thumbnail styles for them. This will help your viewers differentiate one type of content from the other in an easy manner. Finally, conduct an A/B test for your thumbnails. Since YouTube does not have a native feature yet, you will need to rely on other tools for this purpose. If proper planning is ensured while conducting the A/B testing, your thumbnail’s performance can be enhanced almost instantly. Always remember to replace an image that does not seem to perform well. In that light, you need to work to get viewers. To make it worse, a misleading thumbnail image may chase away your ideal viewers. Lastly, remember that you can design Youtube thumbnails without hiring a graphic designer as well. There are hundred of tools out there which allow you to design great thumbnails within minutes, that too absolutely free. No matter what strategy you adopt, ensure that the selected thumbnail image matches the content it represents and keeps engages with the audience.